Session fee is $250 plus tax (excluding newborns and unicorn) for up to 5 people which includes 1 hour session time. This fee covers pre and post sessions consultations as well as the artist’s time, talent, and service. It does not include any products, prints, digital files, or print release. During your post session consultation, you will be presented with an order gallery of 20-30 professionally edited and retouched images to place your order from. Prints and products are purchased separately. There is no additional required purchase, though the average client invests $2500-$3500 on their heirloom portraits. Professional museum quality portraits start at $190 each. We have a vast collection of amazing products for many various styles. For a list of available packages and more detailed information about our booking process, email us at Ashley@cherishthisbyashley.com so we can schedule your free consultation to discuss details! Retainer fee of $100 plus tax must be paid to book and secure your date when signing contract at or after your pre-session consultation. Retainer fee is non refundable but is transferable given at least 48 hour notice. After 48 hours, retainer fee is forfeited. Pricing is non-negotiable and subject to change without notice. Pricing is locked once retainer fee is paid. Session fee covers artist’s time and talent, photographic session, and one order session. Products including but not limited to digitals and prints are purchased separately at your order session. Pricing does not include tax nor shipping. 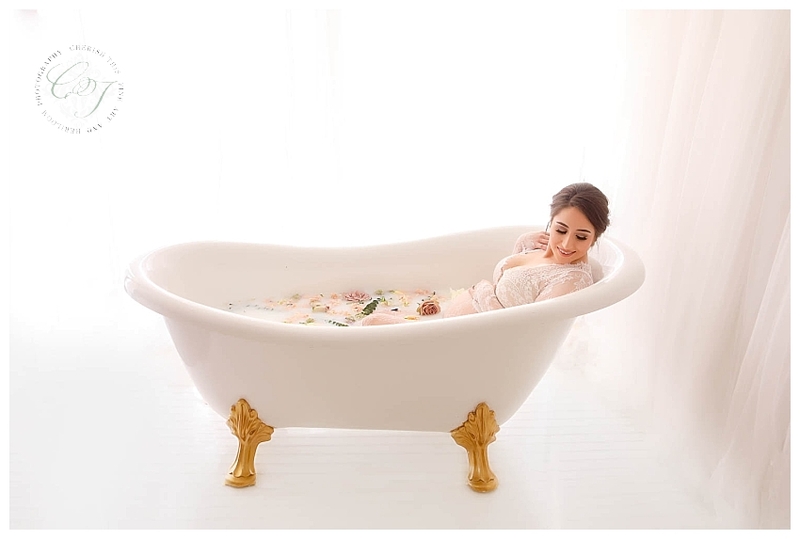 Ashley of Cherish This Photography is a Houston maternity photographer located in Houston, Texas. Ashley creates fine art, heritage images of expecting moms, newborns, and the families that love them. Serving Houston, Pearland, Heights and surrounding Texas communities.